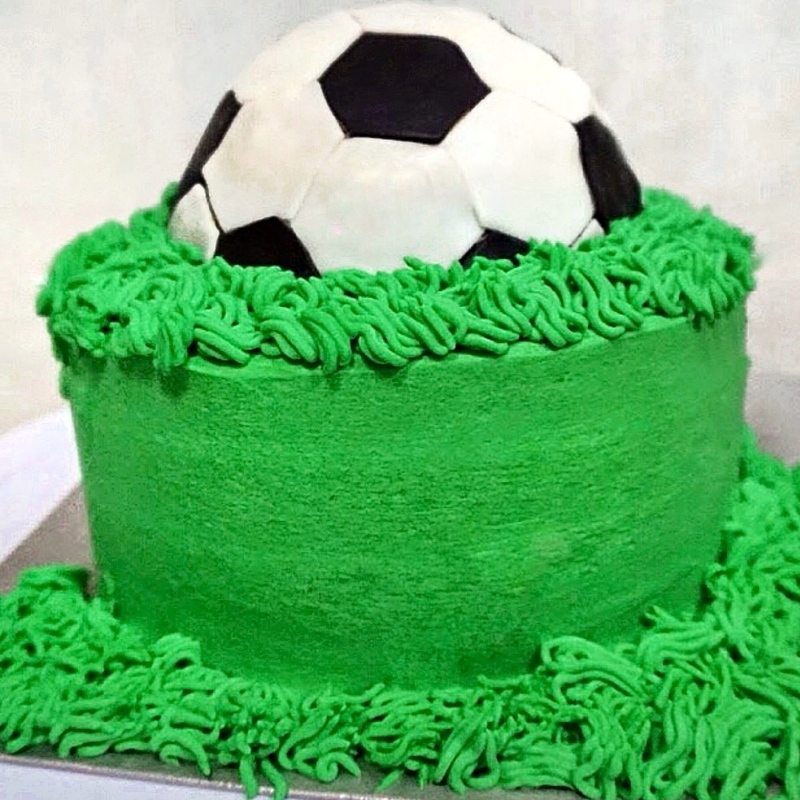 Soccerball Cake anyone? The FIFA World Cup season is back. For those that waited 4 years to watch this, hurray for you. The semifinals are just right round the corner and this frenzy is getting too much. DO you know my company has this daily update and commentary on World Cup happenings. 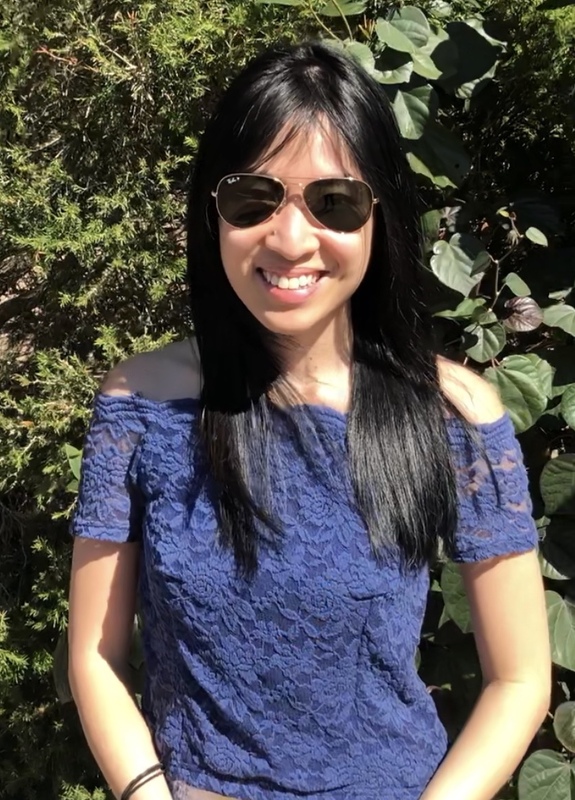 It’s hard to avoid news of any sort when it constantly pops up in your inbox the first thing in the morning and the last thing before the end of work day. I recall the last time I watched soccer, it was really out of boredom. Or was it to take a break from studying and books. 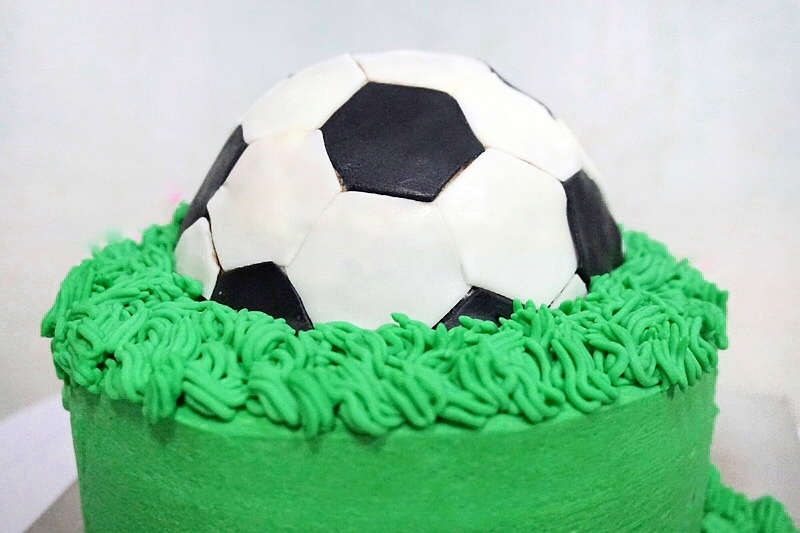 Was once a crazy fan of Germany ( Don’t ask me why) haha but anyway, to show my support and some “enthusiasm” this World Cup season, I decided to bake a football cake. 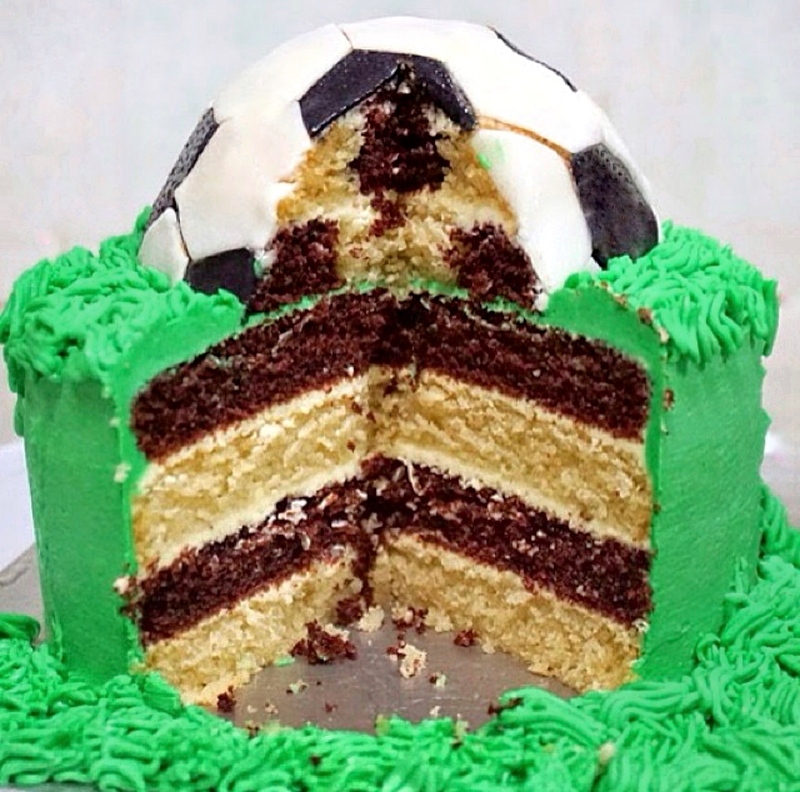 This is my so called contribution- FIFA World Cup Soccerball Cake. 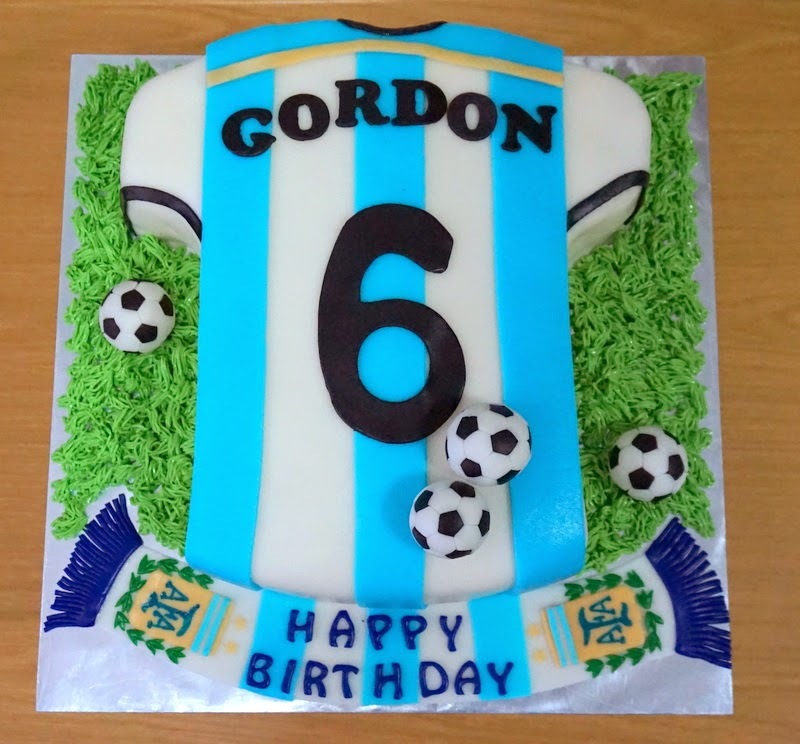 Making this soccerball cake was actually fairly simple. First you make the bottom layer of the cake like how you bake any ordinary cake. This will form the “grass field” Use your favourite cake recipe and frost the outside of the cake with green buttercream. I use a vanilla buttercream and colored it with Wilton edible Kelly green gel. The top of the cake which is the soccer ball was then baked in this hemisphere ( Which I explained earlier). 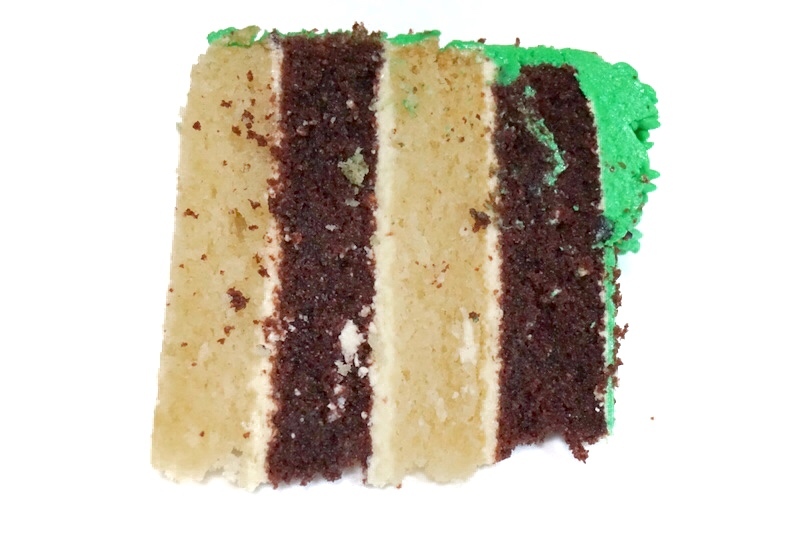 It was then sliced into 3 layers and frosted with a little vanilla buttercream. You just wanna apply a thin layer of buttercream to seal or stick the layers together. Now comes the most tedious part of the whole cake. The cutting out of individual Hexagon and Pentagon shapes of black and white fondant to paste onto the hemisphere. I’m pretty sure there are cutters in these shapes but I didn’t have one at the moment so I actually did a template and use a photocopy transparent paper as a template. I then placed this template on top of the black or white fondant and cut out multiple of the same shapes. Btw I did a google search and they do have cookie cutters for people who are interested in making their own football cake. I KNEW IT. FAINTS! 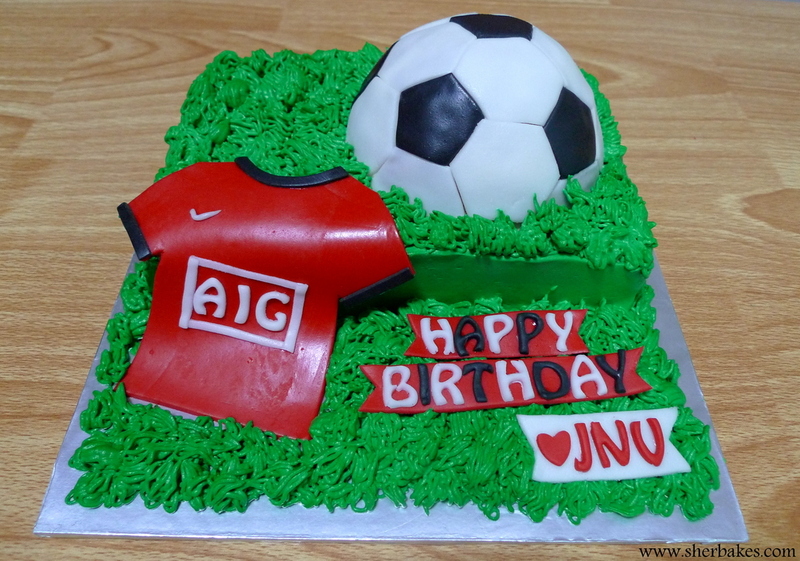 Paste them alternately to form the soccer cake. Lots of patience went into this cake. Similarly I think watching a soccer match takes an equal amount of patience… you don’t get balls in all the time during the first half of the game. Hahah but if you’re lucky, you might actually see a goal or two within the first few mins. See those spikey grass along the cake board? I used a piping grass tip to pipe a grass like effect. One of my overused piping tip as well. Just gotta have a few favourites yeah?